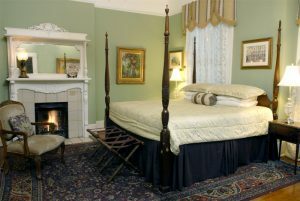 This Savannah premium bed breakfast room has every imagined architectural detail done in pale greens, with an English antique four poster king size bed, mahogany chest and carved oak armoire facing the antique white working fireplace. The room features a bay area overlooking Chippewa Square. 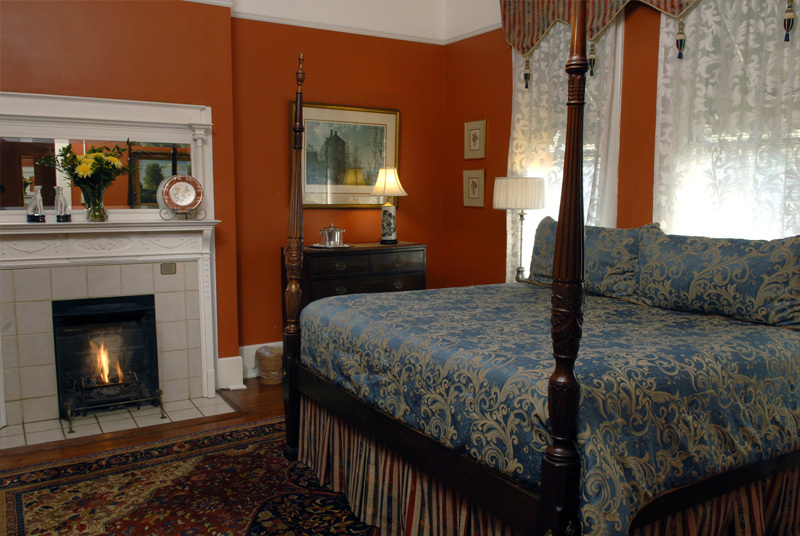 Plush chairs, private bath, 32 inch flat screen HD television and original art Hardwood floors with oriental carpeting add to the ambiance. 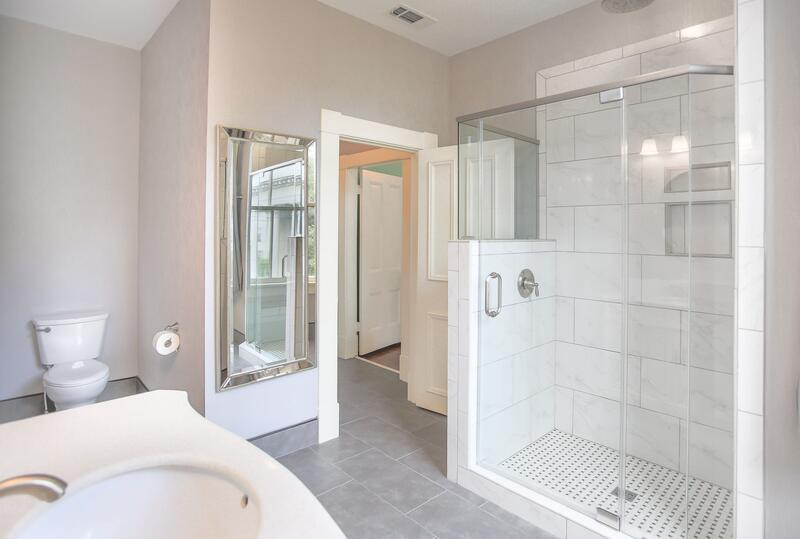 Finally the bath has a large walk-in shower with a rainfall shower head and frameless glass door. Click on the image for a larger view. 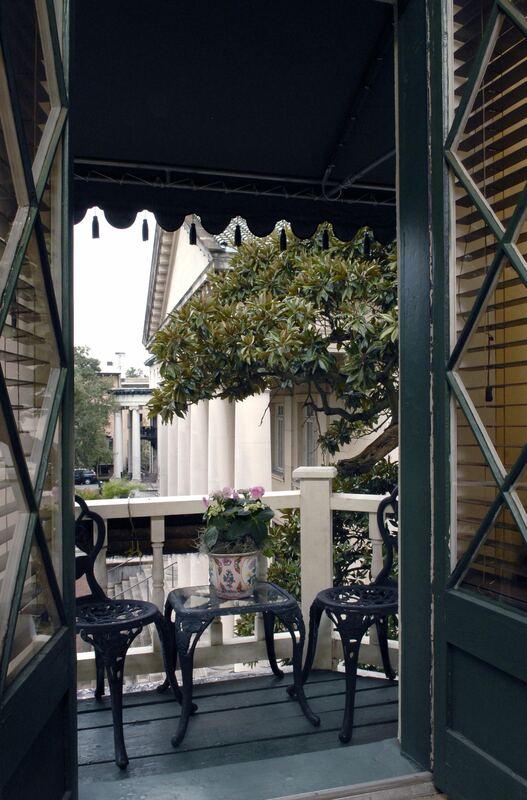 British Colonial is the theme of this lovely balcony room with a southern exposure that overlooks Chippewa Square. Done in pale yellows this room has a balcony with a canopy of live oaks. 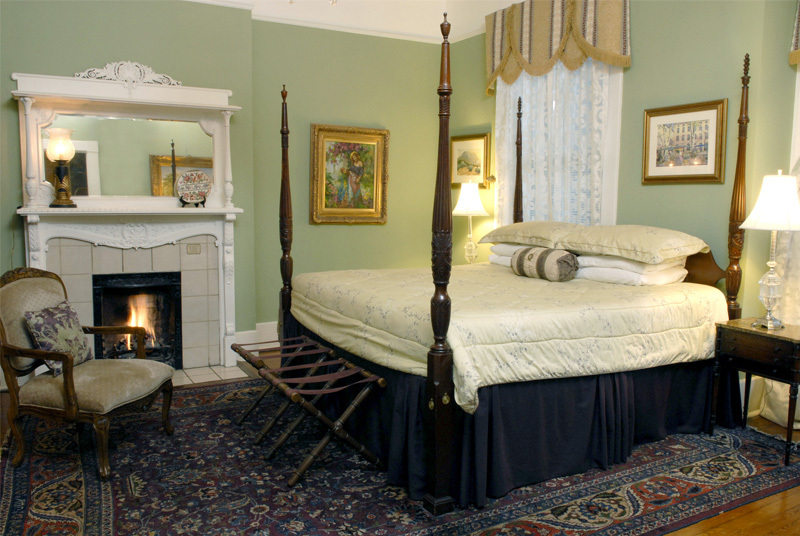 This premium bed and breakfast rooms features a four poster king size rice bed similarly with a hand carved five foot wooden mural boards as a backdrop. For that reason an antique American maple drawer top desk, original English tabloid Civil and Revolutionary prints, also 26 inch flat screen HD television, private bath. 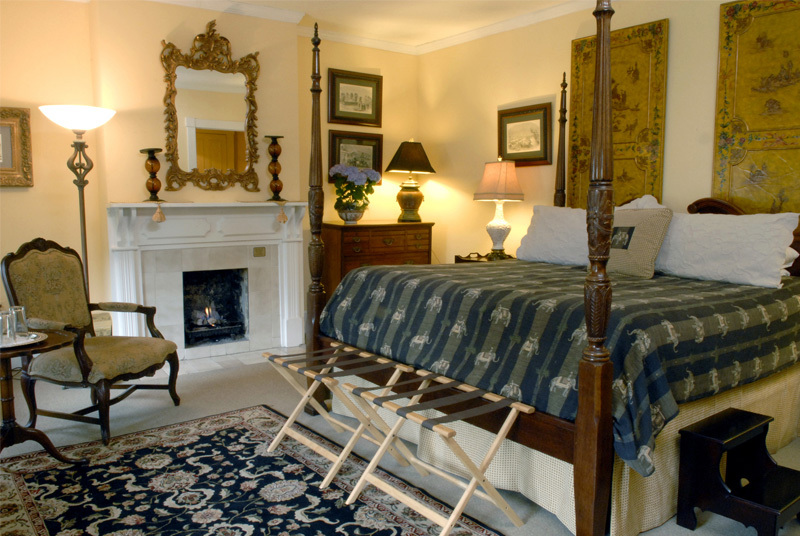 Furthermore a Fench antique wingback chairs and a British antique chest. Click on the image for a larger view. Passion and elegance dominate this room done in historic orange-reds with a white marbled and mirrored contrasting fireplace. Another wall of windows back dropping the king size bed with their antique lace overlooks the bench where Forrest Gump ate chocolates on Chippewa Square. 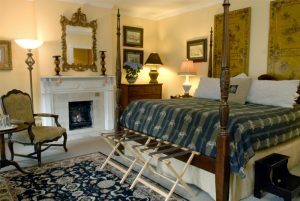 This premium bed breakfast rooms is filled with original art, 32 inch flat screen HD television, and consequently a small loveseat just for Champagne for two. Due to this the bath has a large walk-in shower with a rainfall shower head and glass door. Click on the image for a larger view. Copyright © 2015 Foley Inn. All rights reserved.